In August, the Chinese authorities demanded that Cambridge University Press (CUP) delete some three hundred articles and book reviews from the electronic version of The China Quarterly that is available inside the People’s Republic of China, in order to prevent access to Chinese researchers and university students. CUP, which publishes The China Quarterly, agreed to delete everything the Chinese government requested without even seeking permission from the editor of the Journal. These were largely articles on the Cultural Revolution (including a paper that I co-authored back in 1980 about the Red Guards in Guangzhou), the Tiananmen protests, the Chinese leadership, Tibet, and Xinjiang. As soon as CUP’s submissive behaviour to China and active participation in censorship became known, a spate of angry comments from the Western academic community was reported by major newspapers. After a few days, the leadership of Cambridge University forced CUP, which the university owns, to restore all deleted articles. While China has failed in its ploy and the uproar has subsided, the serious implications of this incident are not over. Will China retaliate against its loss of face? Will Beijing attempt to unleash punitive measures against CUP, The China Quarterly, and the academic community outside China? Or will it quietly let sleeping dogs lie? I doubt China will let up, though I am not sure what will happen next. Undoubtedly China’s censorship of foreign academic publications has very serious implications for academics inside and outside China. There has been much discussion among international scholars in China Studies about the incident. Lack of academic freedom in China goes all the way back to the Maoist era. Scholars engaging with China take censorship inside China as the norm. China’s academics have learned to be careful, tip-toeing around sensitive issues while the bravest among them push boundaries and retreat, adjusting to the political climate of the day. We have all become quite used to self-censorship inside China as a feature of everyday life. The incident this time is of a different nature. It is unprecedented. Instead of the Chinese authorities or their agents themselves censoring what they consider to be subversive publications, deleting them or rewriting them, they have put pressure on a foreign publisher to do the dirty work. This is not the same as Chinese authorities imposing self-censorship on Chinese academics. China itself has the cyber-technology to block articles before they reach readers in China, but the agency of the Chinese government in charge of censorship instead wanted CUP to execute its orders. It is an open display of power by the Chinese government to dominate beyond its borders. Regrettably, in spite of its subsequent reversal, CUP initially betrayed academic freedom for a fistful of dollars. This kind of demand made of foreigners, though new, is in line with China’s very recent style of handling its relations with foreign countries, institutions, and citizens. Now that China has become a world power the government has no qualms about throwing its weight around the globe, at times behaving like an arrogant bully. 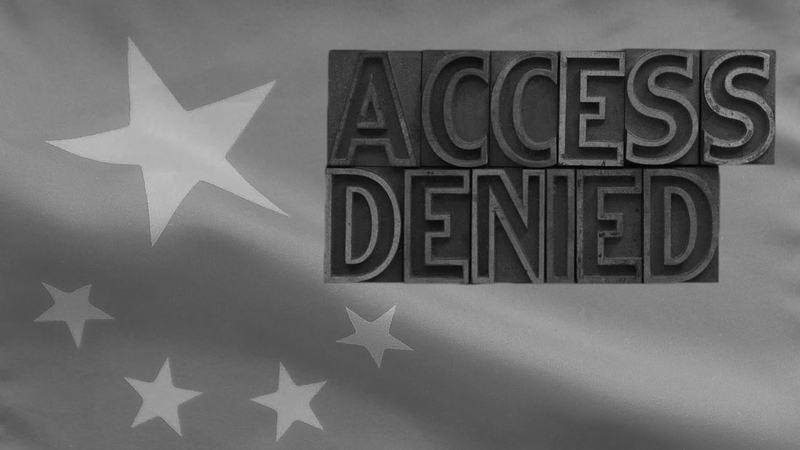 Demanding foreign publishers to censor themselves is of a similar mentality to its aggressive behaviour in the South China Sea; or its heavy-handed suppression of Hong Kong’s democratic aspirations, its making several Hong Kong publishers disappear and reappear on Chinese soil; or even its attempts to undermine academic freedom in Australia, not least through the associations of Chinese students in the country. In the latest instance, in mid-August a lecturer at the University of Sydney was targeted by Chinese students for using a world map that showed India in control of disputed territory on the border with China. Soon after, a Chinese-Australian automobile club organised a convoy of luxury cars decked with Chinese flags through Sydney to protest India’s position on the border dispute. The vehicles displayed slogans such as ‘Anyone who offends China will be killed no matter how far the target is’. Such an incident is an ostentatious display of wealth and power challenging open civic society. In response to CUP’s initial capitulation to China’s censorship demands, The Global Times, the English mouthpiece of the Chinese government, put it succinctly: ‘The West’s values and interests have been positioned at the core of human society. This is a rule made by the West’s strength. If China becomes powerful and has the ability to maintain its own interests, it is bound to take actions.’ China’s political elite perceives it as a contest between open-society values and state power. For the time being China is still not powerful enough, and we have been advised to wait and see. Still, publishers, academics outside China, and, of course, my fellow Hong Kongers must continue to be on the alert, since China will not hesitate to exert its power to tell us what can and cannot be published. The international community should close ranks and be ready to resist this new attack on academic freedom.